Three years after launching with their immediately identifiable brand of well-financed, 12a-rated, corporately-sponsored debauchery aimed squarely at a target market of well-heeled financiers from Clapham and people who consider reading 50 Shades of Grey on the bus the height of risqué behaviour, London Wonderground has begun to feel as much a Thames-side institution as the statue people who so bafflingly thrill tourists with the amazing ability to stand still. Yet until now Civilian Theatre has never made the trip across the river to experience the famous Spiegeltent and its carnival of delights and vigilant readers may have noticed the faint whiff of cynicism rising from the above paragraph. I should make clear this is in no way is aimed at the performers – Scotch & Soda, or any of those taking part this summer. Having seen some of the acts perform elsewhere, the talent is not to be doubted. No, my main issue with the London Wonderground experience is struggling to avoid the chuckling charlies braying their stock portfolios at one another as they think nothing of throwing down another £7 on a glass of Pimms, or forking out £10 for a souvenir programme (7 pages of high gloss photos). This is not a show for those looking to manage their budgets. A family of four would be hard pressed to be spending less than £120 for a show that lasts 70 minutes (and that assumes calls for ice creams, cokes or glasses of wine are resisted). All that said, Scotch & Soda is a highly entertaining show. 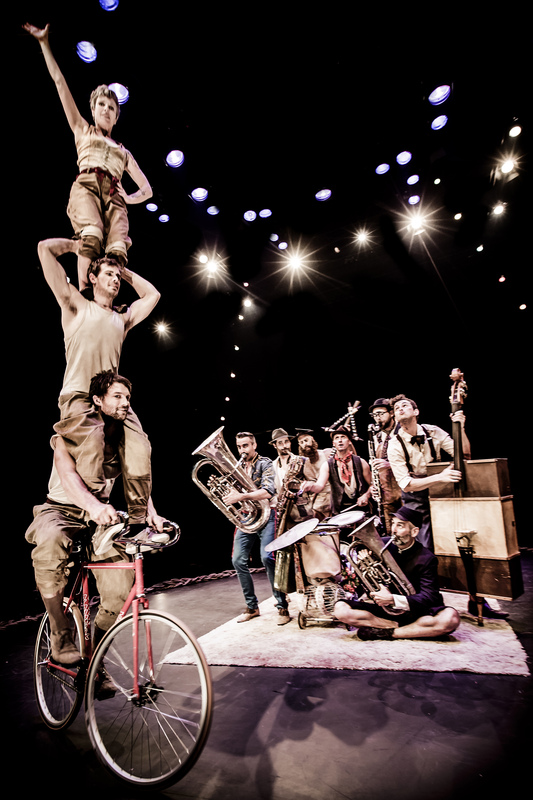 The Australian troupe is a mixture of skilled circus performers and fantastically enjoyable horn and drum infused jazz. 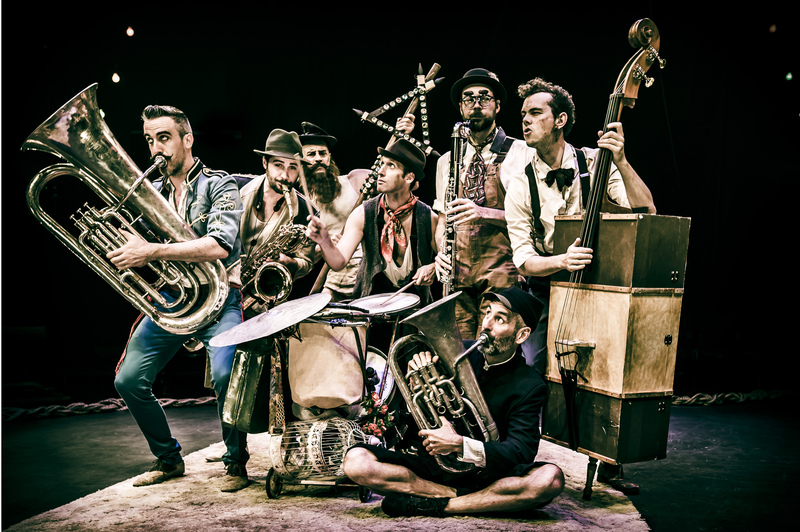 Their style is perhaps inspired by the idea of early 20th century touring circuses – a hipster meets hillbilly confection where moustaches meet muscles, where a jug-band meets a classically trained double-bassist. It is a winning combination, in part because they successfully bring a sense of (mild) peril back to the performance. I have always disliked the cold, clinical nature of Cirque De Soleil. The superb skill of the performers is lost in the midst of bland, cod-philosophical performances whilst the audience is so distanced that you never feel the true danger of the event. Even the wildly-popular, and undeniably fun, La Cirque feels a little to calculating in its production; a series of very carefully choreographed set pieces that takes you from A-Z. In comparison Scotch & Soda seems quite anarchic. The careful, down-at-heel style gives it an agreeable ramshackle feel and as a result it can feel that the show is unfolding in front of you, and neither the audience nor the performers quite know how it will finish. Total rubbish of course. But you let yourself believe it, and that is the important thing. The stunts come thick and fast, and there is variety without it feeling that it is doing so to touch all bases. There is also a distinct incremental shift in the danger and difficulty. 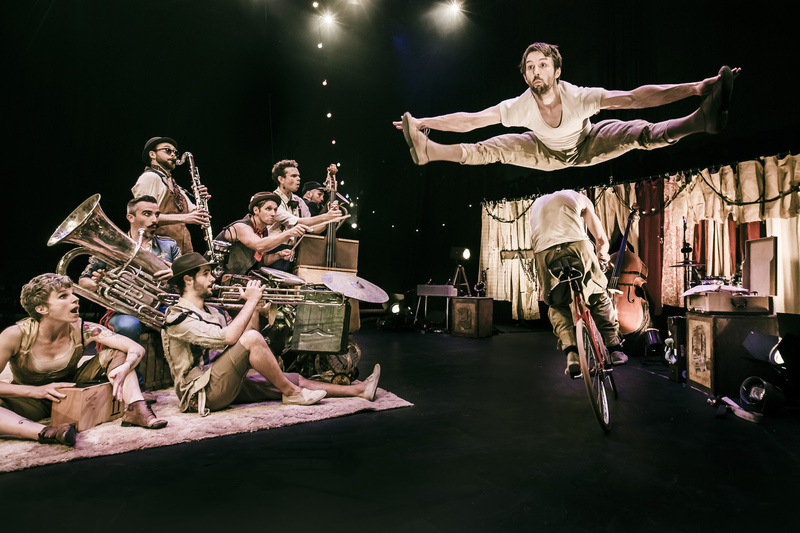 They start quite simply – and highly effectively, with a wonderful balancing act performed on champagne bottles – but use ropes, trapeze, bicycles and a see-saw as the night goes on. The music is top-notch. I am a sucker for any wild brass sessions, and Scotch & Soda is steeped in the type of music that makes you want to get up and dance around. The performers are talented but most importantly they are also funny, have a clear on-stage bonhomie and are able to connect with the audience through their acts. 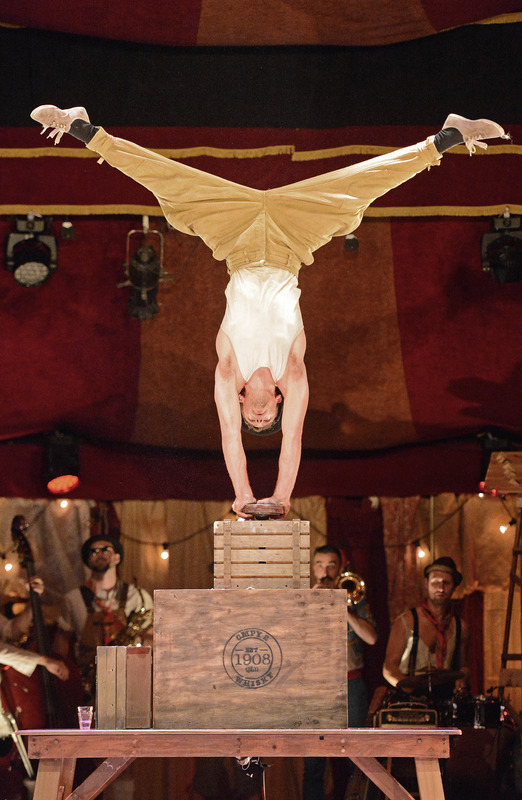 I may have reservations about London Wonderground, but I don’t have any about the first act I have seen performed in the Spiegeltent.